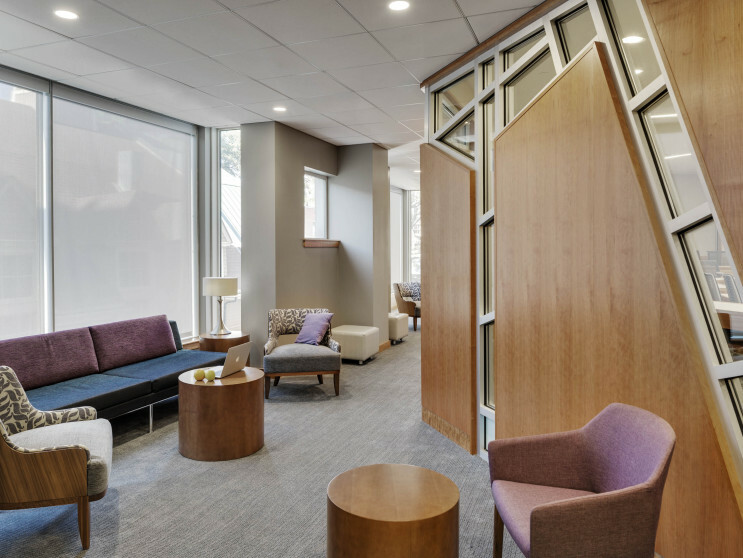 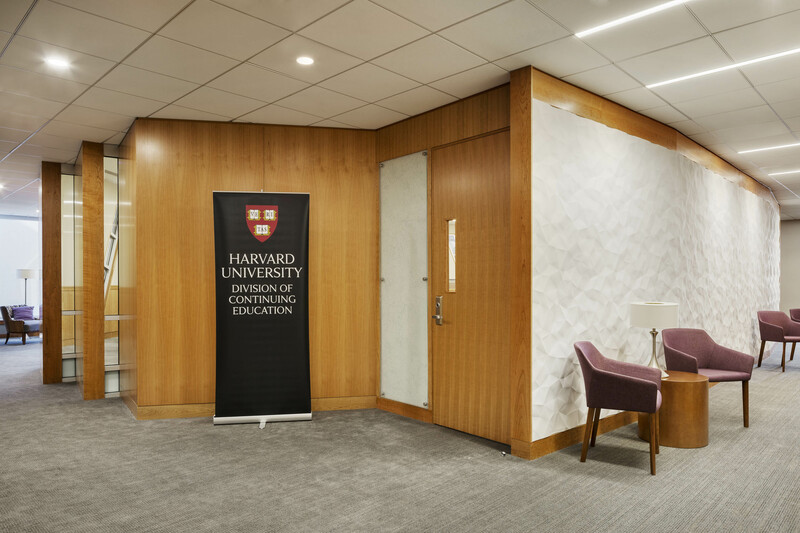 Audrey O’Hagan Architects converted a 4,900 square foot former retail space in the heart of Brattle Square into a high-quality professional education facility for Harvard University Division of Continuing Education’s fast-paced and entrepreneurial organization. 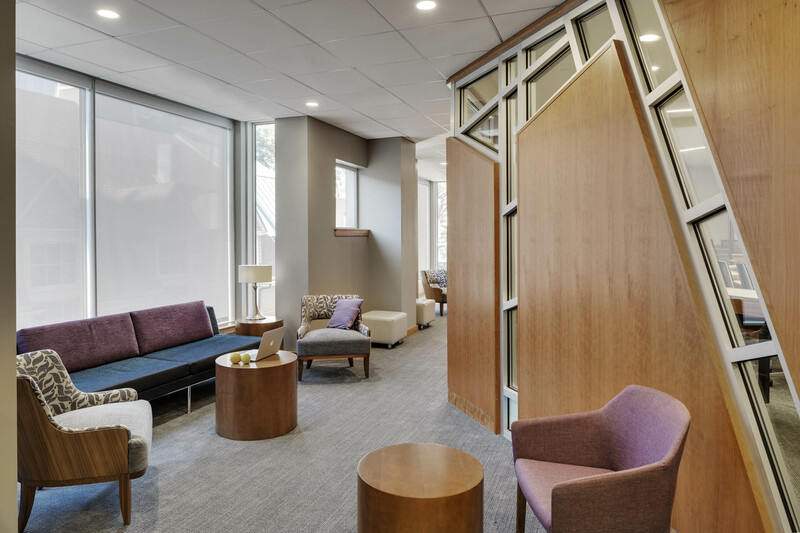 The new high-technology space includes a flexible 36-seat classroom, a 58 seat case-study classroom (both equipped for a variety of teaching styles including distance learning), a reception /check-in area, work-room, breakout spaces, restrooms, and kitchenette. 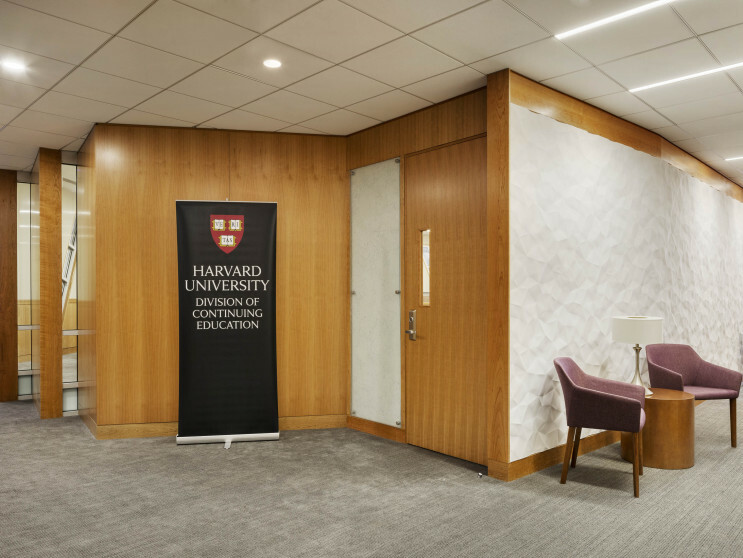 Harvard’s goals were to create a space which reflects a professional business school quality as well as a modern feeling of “Harvard” for students attending day-long professional development courses and intensive weekend programs. 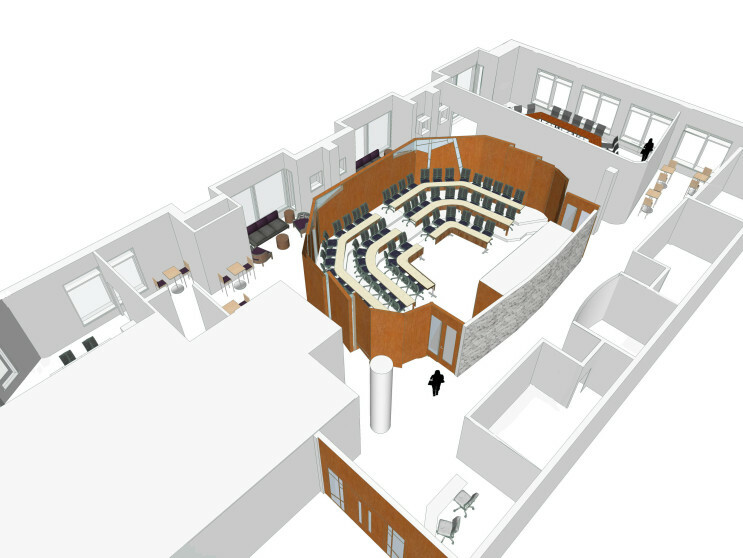 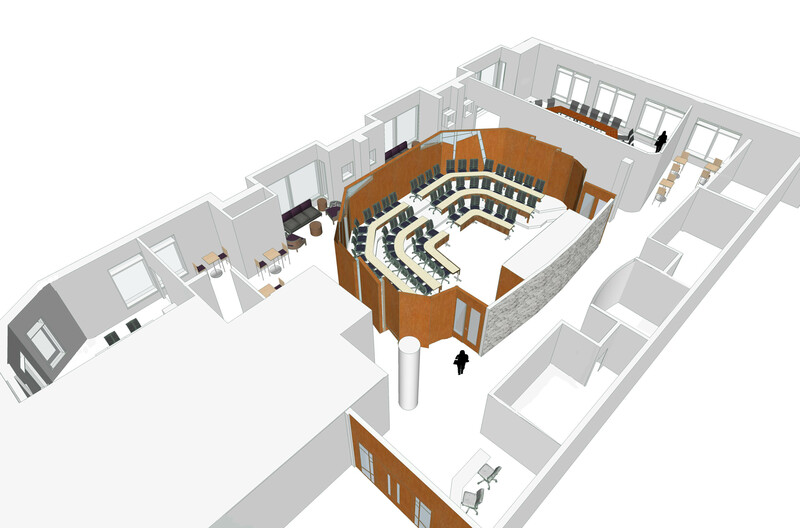 The new space integrates innovative, modern technologies and sophisticated acoustic techniques to enable interactive local, online and distance teaching and learning.